No one's ever going to accuse Dragon Quest publisher, Enix, of jumping on the GameBoy bandwagon. 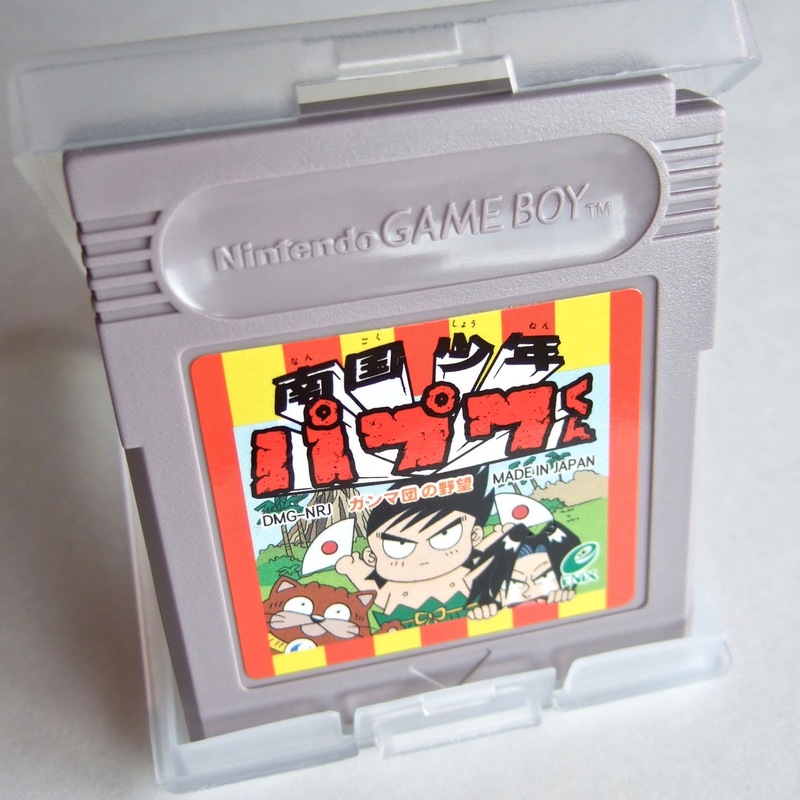 After all, it took the company over three years to release its first GameBoy title--and even then it was a game, Dungeon Land, someone else developed. So, who is responsible for the development of this appealingly unique puzzler? That would be Daft. 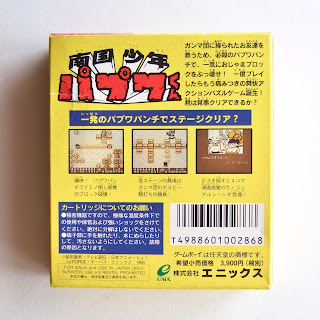 If you're any kind of "retro gamer," though, you've probably at least heard of one of Daft's other products, though--that being the quirky Super Famicom platformer, Hameln no Violin Hiki (aka Violinist of Hameln). As for Nangoku Shounen Papuwa-kun, it's based on Ami Shibata's 1991 manga series of the same name. 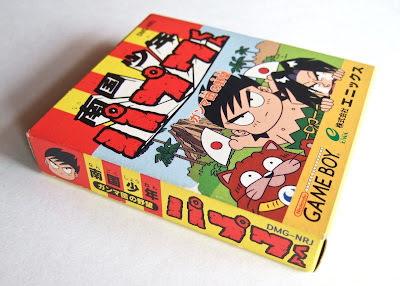 To be frank, I know nothing about said series and, as such, have no idea as to why the powers that be at Daft or Enix decided to translate the IP into a puzzle game for Nintendo's first portable game system. What I do know: Nangoku Shounen Papuwa-kun is a fun little brain-teaser. This is no Tetris or Puyo Puyo clone, however. 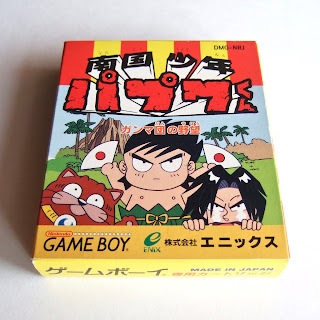 In fact, I can't think of another puzzle game that plays anything like Nangoku Shounen Papuwa-kun. Explaining how it works through words isn't an easy task, so check out this gameplay footage--or this footage--if you're curious to know more. The good news: it only takes a few minutes of puttering around to figure out what you're supposed to do. After that, it's smooth sailing. 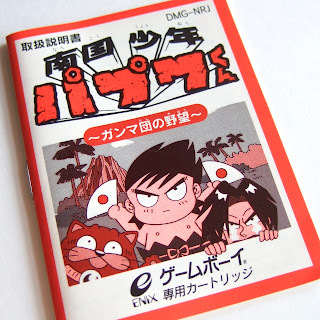 Another piece of good news: even people who don't know a lick of Japanese should find Nangoku Shounen Papuwa-kun both accessible and enjoyable. 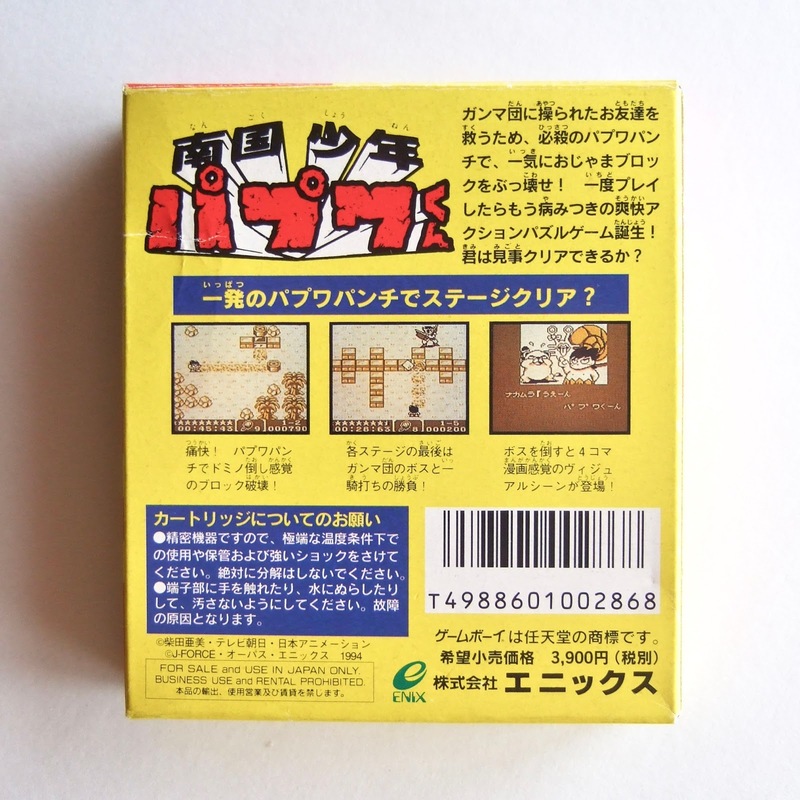 With all of that out of the way, what do you think about the game's outer box, cartridge, and instruction manual, all of which are showcased throughout this post? I especially like its colorful cover art. In fact, that's what initially drew me to the game--well, that and the Enix logo printed along its lower edge. Have any of you played Nangoku Shounen Papuwa-kun? If so, what do you think of it? Even if you haven't played it, though, what do you think of the game's packaging?